VMware announced a new Kubernetes product today called VMware Essential PKS, which has been created from its acquisition of Heptio for $550 million at the end of last year. VMware already had two flavors of Kubernetes, a fully managed cloud product and an enterprise version with all of the components, such as registry and network, pre-selected by VMware. What this new version does is provide a completely open version of Kubernetes where the customer can choose all the components, giving a flexible option for those who want it, according to Scott Buchanan, senior director of product marketing for cloud-native apps at VMware. Buchanan said the new product comes directly from the approach that Heptio had taken to selling Kubernetes prior to the acquisition. “We’re introducing a new offering called VMware Essential PKS, and that offering is a packaging of the approach that Heptio took to market and that gained a lot of traction, and that approach is a natural complement to the other Kubernetes products in the VMware portfolio,” he explained. Buchanan acknowledged that a large part of the market is going to go for the fully managed or fully configured approaches, but there is a subset of buyers that will want more choice in their Kubernetes implementation. “Larger enterprises with more complex infrastructure want to have a very customized approach to how they build out their architecture. They don’t want to be integrated. They just want a foundation on which to build because the organizations are larger and more complex and they’re also more likely to have an internal DevOps or SREOps team to operate the platform on a day-to-day basis,” he explained. While these organizations want flexibility, they also require more of a consultative approach to the sale. Heptio had a 40-person field service engineering team that came over in the acquisition, and VMware is in the process of scaling that team. These folks consult with the customer and help them select the different components that make up a Kubernetes installation to fit the needs of each organization. Buchanan, who also came over in the acquisition, says that being part of VMware (which is part of the Dell family of companies) means they have several layers of sales with VMware, Pivotal and Dell all selling the product. 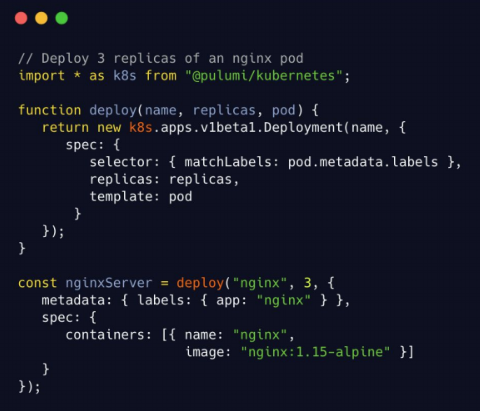 Heptio is the Kubernetes startup founded by Craig McLuckie and Joe Beda, the two men who helped develop the technology while they were at Google. Heptio was founded in 2016 and raised $33.5 million prior to the acquisition, according to Crunchbase data. When Dell voted to buy back the VMware tracking stock and go public again this morning, you had to be wondering what exactly the strategy was behind these moves. While it’s clearly about gaining financial flexibility, the $67 billion EMC deal has always been about setting up the company for a hybrid and private cloud future. The hybrid cloud involves managing workloads on premises and in the cloud, while private clouds are ones that companies run themselves, either in their own data centers or on dedicated hardware in the public cloud. Patrick Moorhead, founder and principal analyst at Moor Insight & Strategy, says this approach takes a longer investment timeline, and that required the changes we saw this morning. “I believe Dell Technologies can better invest in its hybrid world with longer-term investors as the investment will be longer term, at least five years,” he said. Part of that, he said, is due to the fact that many more on-prem to public connectors services need to be built. Dell could be the company that helps build some of those missing pieces. It has always been at its heart a hardware company, and as such either of these approaches could play to its strengths. When the company paid $67 billion for EMC in 2016, it had to have a long-term plan in mind. Michael Dell’s parents didn’t raise no fool, and he saw an opportunity with that move to push his company in a new direction. It was probably never about EMC’s core storage offerings, although a storage component was an essential ingredient in this vision. Dell and his investor’s eyes probably were more focused on other pieces inside the federation — the loosely coupled set of companies inside the broader EMC Corporation. The crown jewel in that group was of course VMware, the company that introduced the enterprise to server virtualization. Today, it has taken residency in the hybrid world between the on-premises data center and the cloud. Armed with broad agreements with AWS, VMware finagled its way to be a key bridge between on prem and the monstrously popular Amazon cloud. IT pros used to working with VMware would certainly be comfortable using it as a cloud control panel as they shifted their workloads to AWS cloud virtual machines. In fact, speaking at a press conference at AWS re:Invent earlier this month, AWS CEO Andy Jassy said the partnership with VMware has been really transformational for his company on a lot of different levels. “Most of the world is virtualized on top of VMware and VMware is at the core of most enterprises. When you start trying to solve people’s problems between being on premises and in the cloud, having the partnership we have with VMware allows us to find ways for customers to use the tools they’ve been using and be able to use them on top of our platform the way they want,” Jassy told the press conference. The two companies also announced an extension of the partnership with the new AWS Outposts servers, which bring the AWS cloud on prem where customers can choose between using VMware or AWS to manage the workloads, whether they live in the cloud or on premises. It’s unclear whether AWS will extend this to other companies’ hardware, but if they do you can be sure Dell would want to be a part of that. But it’s not just VMware that Dell had its sights on when it bought EMC, it was Pivotal too. This is another company, much like VMware, that is publicly traded and operates independently of Dell, even while living inside the Dell family of products. While VMware handles managing the server side of the house, Pivotal is about building software products. When the company went public earlier this year, CEO Rob Mee told TechCrunch that Dell recognizes that Pivotal works better as an independent entity. “From the time Dell acquired EMC, Michael was clear with me: You run the company. I’m just here to help. Dell is our largest shareholder, but we run independently. There have been opportunities to test that [since the acquisition] and it has held true,” Mee said at the time. Virtustream could also be a key piece providing a link to run traditional enterprise applications on multi-tenant clouds. EMC bought this company in 2015 for $1.2 billion, then later spun it out as a jointly owned venture of EMC and VMware later that year. The company provides another link between applications like SAP that once only ran on prem. Surely it had to take all the pieces to get the ones it wanted most. It might have been a big price to pay for transformation, especially since you could argue that some of the pieces were probably past their freshness dates (although even older products bring with them plenty of legacy licensing and maintenance revenue). Even though the long-term trend is shifting toward moving to the cloud, there will be workloads that stay on premises for some time to come. It seems that Dell is trying to position itself as the hybrid/private cloud vendor and all that entails to serve those who won’t be all cloud, all the time. Whether this strategy will work long term remains to be seen, but Dell appears to be betting the house on this approach, and today’s moves only solidified that. Dell announced it has agreed to buy back the VMware tracking stock from the EMC acquisition. The company confirmed the buy-back price of $120 per share for a total of $23.9 billion. With today’s move, Dell will return to being publicly traded starting on December 28th. Sixty-one percent of shareholders voted in favor of the deal. It’s unclear how Wall Street will deal with the $50 billion debt load the company is carrying as a result of that $67 billion EMC acquisition from two years ago, but chairman and CEO Michael Dell got the results he wanted. “With this vote, we are simplifying Dell Technologies’ capital structure and aligning the interests of our investors,” Dell said in a statement. A company spokesperson confirmed that Dell is going public again. “Portions of Dell Technologies have been publicly traded through, for example, VMware and the tracker stock. The NYSE:DELL Class C shares will enable investors to invest in the full breadth of Dell Technologies company.” In plain terms, that means the company will be sold on the New York Stock Exchange under the DELL symbol. Part of the EMC deal was a payout to shareholders based on VMware tracking stock. VMware was a key part of the deal in that it was one of the more valuable pieces in the EMC federation of companies. It still runs as a separate company with separate stock listing. There was much drama prior to this vote with activist investor Carl Icahn suing the company last month after Dell announced a price of $21.7 billion for the tracking stock last July. The move did get Dell to move the needle on the price a bit, although not as much as Icahn had hoped. With today’s vote, Ray Wang, founder and principal analyst at Constellation Research, says the company is looking to move away from activist investors like Icahn and Elliott Management to more traditional institutional investors. “Michael Dell is attempting to rid his short-term activist shareholders for more mid- to long-term institutional types as he goes public again,” Wang explained. As the company returns to the public markets, it means it is in the fairly unique position of going from public to private to public again. Dell originally went public in 1988 before taking the company private again in 2013 in a $24.4 billion buy-back. At least one other company, Deltek, took a similar path over a decade ago. It eventually was sold to private equity firm Thoma Bravo for $1.1 billion in 2012 before being sold again in 2016 for $2.8 billion. AWS has always been the pure cloud vendor, and even though it has given a nod to hybrid, it is now fully embracing it. Today in conjunction with VMware, it announced a pair of options to bring AWS into the data center. Yes, you read it correctly. You can now put AWS into your data center with AWS hardware, the same design they use in their own data centers. The two new products are part of AWS Outposts. There are two Outposts variations — VMware Cloud on AWS Outposts and AWS Outposts. The first uses the VMware control panel. The second allows customers to run compute and storage on premises using the same AWS APIs that are used in the AWS cloud. In fact, VMware CEO Pat Gelsinger joined AWS CEO Andy Jassy onstage at AWS re:Invent for a joint announcement. The two companies have been working together for some time to bring VMware to the AWS cloud. Part of this announcement flips that on its head, bringing the AWS cloud on prem to work with VMware. In both cases, AWS sells you their hardware, installs it if you wish, and will even maintain it for you. This is an area that AWS has lagged, preferring the vision of a cloud, rather than moving back to the data center, but it’s a tacit acknowledgment that customers want to operate in both places for the foreseeable future. The announcement also extends the company’s cloud-native-like vision. On Monday, the company announced Transit Gateways, which is designed to provide a single way to manage network resources, whether they live in the cloud or on prem. Now AWS is bringing its cloud on prem, something that Microsoft, Canonical, Oracle and others have had for some time. It’s worth noting that today’s announcement is a public preview. The actual release is expected in the second half of next year. During its big customer event in Europe, VMware announced another acquisition to step up its game in helping enterprises build and run containerised, Kubernetes-based architectures: it has acquired Heptio, a startup out of Seattle that was co-founded by Joe Beda and Craig McLuckie, who were two of the three people who co-created Kubernetes back at Google in 2014 (it has since been open sourced). Beda and McLuckie and their team will all be joining VMware in the transaction. Terms of the deal are not being disclosed — VMware said in a release that they are not material to the company — but as a point of reference, when Heptio last raised money — a $25 million Series B in 2017, with investors including Lightspeed, Accel and Madrona — it was valued at $117 million post-money, according to data from PitchBook. Given the pedigree of Heptio’s founders, this is a signal of the big bet that VMware is taking on Kubernetes, and the belief that it will become an increasing cornerstone in how enterprises run their businesses. The larger company already works with 500,000+ customers globally, and 75,000 partners. It’s not clear how many customers Heptio worked with but they included large, tech-forward businesses like Yahoo Japan. It’s also another endorsement of the ongoing rise of open source and its role in cloud architectures, a paradigm that got its biggest boost at the end of October with IBM’s acquisition of RedHat, one of the biggest tech acquisitions of all time at $34 billion. Heptio provides professional services for enterprises that are adopting or already use Kubernetes, providing training, support and building open-source projects for managing specific aspects of Kubernetes and related container clusters, and this deal is about VMware expanding the business funnel and margins for Kubernetes within it its wider cloud, on-premise and hybrid storage and computing services with that expertise. VMware and its Pivotal business already offer Kubernetes-related services by way of PKS, which lets organizations run cloud-agnostic apps. Heptio will become a part of that wider portfolio. VMware has made some 33 acquisitions overall, according to Crunchbase, but this appears to have been the first specifically to boost its position in Kubernetes. The deal is expected to close by fiscal Q4 2019, VMware said. Pulumi, a Seattle-based startup that lets developers specify and manage their cloud infrastructure using the programming language they already know, today announced that it has raised a $15 million Series A funding round led by Madrona Venture Group. Tola Capital also participated in this round and Tola managing director Sheila Gulati will get a seat on the Pulumi board, where she’ll join former Microsoft exec and Madrona managing director S. Somasegar. In addition to announcing its raise, the company also today launched its commercial platform, which builds upon Pulumi’s open-source work. So to meet that opportunity, the team decided to raise a new round to scale out both its team and product. And now, that product includes a commercial offering of Pulumi with the company’s new ‘team edition.’ This new enterprise version includes support for unlimited users, integrations with third-party tools like GitHub and Slack, as well as role-based access controls and onboarding and 12×5 support. Like the free, single-user community edition, the team edition is delivered as a SaaS product and supports deployments to all of the major public and private cloud platforms. Pulumi will, of course, continue to develop its open source tools, too. Indeed, the company noted that it would invest heavily in building out the community around its tools. The team told me that it is already seeing a lot of momentum but with the new funding, it’ll re-double its efforts. With the new funding, the company will also work on making the onboarding process much easier, up to the point where it will become a full self-serve experience. But that doesn’t work for most large organizations, so Pulumi will also invest heavily in its pre- and post-sales organization. Right now, like most companies at this stage, the team is mostly composed of engineers. Google today announced that it is providing the Cloud Native Computing Foundation (CNCF) with $9 million in Google Cloud credits to help further its work on the Kubernetes container orchestrator and that it is handing over operational control of the project to the community. These credits will be split over three years and are meant to cover the infrastructure costs of building, testing and distributing the Kubernetes software. Why does this matter? Until now, Google hosted virtually all the cloud resources that supported the project, like its CI/CD testing infrastructure, container downloads and DNS services on its cloud. But Google is now taking a step back. With the Kubernetes community reaching a state of maturity, Google is transferring all of this to the community. Between the testing infrastructure and hosting container downloads, the Kubernetes project regularly runs more than 150,000 containers on 5,000 virtual machines, so the cost of running these systems quickly adds up. The Kubernetes container registry has served almost 130 million downloads since the launch of the project. It’s also worth noting that the CNCF now includes a wide range of members that typically compete with each other. We’re talking Alibaba Cloud, AWS, Microsoft Azure, Google Cloud, IBM Cloud, Oracle, SAP and VMware, for example. All of these profit from the work of the CNCF and the Kubernetes community. Google doesn’t say so outright, but it’s fair to assume that it wanted others to shoulder some of the burdens of running the Kubernetes infrastructure, too. Similarly, some of the members of the community surely didn’t want to be so closely tied to Google’s infrastructure, either. “By sharing the operational responsibilities for Kubernetes with contributors to the project, we look forward to seeing the new ideas and efficiencies that all Kubernetes contributors bring to the project operations,” Google Kubernetes Engine product manager William Deniss writes in today’s announcement. He also notes that a number of Google’s will still be involved in running the Kubernetes infrastructure. It’s unclear whether the project plans to take some of the Google-hosted infrastructure and move it to another cloud, but it could definitely do so — and other cloud providers could step up and offer similar credits, too. VMware is hosting its VMworld customer conference in Las Vegas this week, and to get things going it announced that it’s acquiring Boston-based CloudHealth Technologies. They did not disclose the terms of the deal, but Reuters is reporting the price is $500 million. CloudHealth provides VMware with a crucial multi-cloud management platform that works across AWS, Microsoft Azure and Google Cloud Platform, giving customers a way to manage cloud cost, usage, security and performance from a single interface. Although AWS leads the cloud market by a large margin, it is a vast and growing market and most companies are not putting their eggs in a single vendor basket. Instead, they are looking at best of breed options for different cloud services. This multi-cloud approach is great for customers in that they are not tied down to any single provider, but it does create a management headache as a consequence. CloudHealth gives multi-cloud users a way to manage their environment from a single tool. VMware’s chief operating officer for products and cloud services, Raghu Raghuram, says CloudHealth solves the multi-cloud operational dilemma. “With the addition of CloudHealth Technologies we are delivering a consistent and actionable view into cost and resource management, security and performance for applications across multiple clouds,” Raghuram said in a statement. It also gave them a complete solution for managing across the three of the biggest cloud vendors. That last piece very likely made them an even more attractive target for a company like VMware, who apparently was looking for a solution to buy that would help customers manage across a hybrid and multi-cloud environment. The company had been planning future expansion to manage not just the public cloud, but also private clouds and data centers from one place, a strategy that should fit well with what VMware has been trying to do in recent years to help companies manage a hybrid environment, regardless of where their virtual machines live. With CloudHealth, VMware not only gets the multi-cloud management solution, it gains its 3000 customers which include Yelp, Dow Jones, Zendesk and Pinterest. CloudHealth was founded in 2012 and has raised over $87 million. Its most recent round was a $46 million Series D in June 2017 led by Kleiner Perkins. Other lead investors across earlier rounds have included Sapphire Ventures, Scale Venture Partners and .406 Ventures. For Bill, that means he has about $90B left to give. For the average working American, this world of concierge giving is out of reach, both in check size, and the army of consultants, lawyers and PR strategists that come with it. It seems that in order to do good, you must first do well. Very well. Bright Funds is looking to change that. Founded in 2012, this SF-based startup is looking to democratize concierge giving to every individual so they “can give with the same effectiveness as Bill and Melinda Gates.” They are doing to philanthropy what Vanguard and Wealthfront have done for asset management for retail investors. In particular, they are looking to unlock dollars from the underutilized corporate benefit of matching funds for donations, which according to Bright Funds is offered by over 60% of medium to large enterprises, but only used by 13% of employees at these companies. The need for such a service is clear — these programs are cumbersome, transactional, and often offline. Make a donation, submit a receipt, and wait for it to churn through the bureaucratic machine of accounting and finance before matching funds show up weeks later. Bright Funds is looking to make your company’s matching funds benefit as accessible and important to you as your free lunches or massages. Plus, Bright Funds charges companies per seat, along with a transaction fee to cover the cost of payment processing, sparing employees any expense. It’s a model that is working. According to Bright Fund’s CEO Ty Walrod, Bright Funds customers see on average a 40% year-over-year increase in funds donated through the platform. More importantly, Bright Funds not only transforms an employee’s relationship to personal philanthropy, but also to the company they work for. This model of bottoms-up giving is a welcome change from the big foundation model which has recently been rocked by scandal. The Silicon Valley Community Foundation was the go-to foundation for The Who’s Who of Silicon Valley elite. It rode the latest tech boom to become the largest community foundation in eleven short years with generous stock donations from donors like Mark Zuckerberg ($1.8 billion), GoPro’s Nicholas Woodman ($500 million), and WhatsApp co-founder Jan Koum ($566 million). Today, at $13.5 billion, it surpasses the 80+ year old Ford Foundation in endowment size. However, earlier this year, their star fundraiser Mari Ellen Loijens (credited with raising $8.3B of the $13.5B) was accused of repeatedly bullying and sexually harassing coworkers, allegations that the Foundation had “known about for years” but failed to act upon. In 2017, a similar case occurred when USC’s star fundraiser David Carrera stepped down on charges of sexual harassment after leading the university’s historic $6 billion fundraising campaign. While large foundations and endowments do important work, their structure relies too much on whale hunting for big checks, giving an inordinate amount of power to the hands of a small group of talented fund raisers. This stands in contrast to Bright Funds’ ethos — to lead a grassroots movement in empowering individual employees to make their dollar of giving count. Bright Funds is the latest iteration of a lineup of workplace giving platforms. MicroEdge and Cybergrants paved the way in the 80s and 90s by digitizing the giving experience, but was mainly on-premise, and lacked a focus on user experience. Benevity and YourCause arrived in 2007 to bring workplace giving to the cloud, but they were still not turnkey solutions that could be easily implemented. Bright Funds started as a consumer platform, and has retained that heritage in its approach to product design, aiming to reduce friction for both employee and company adoption. This is why many of their first customers were midsized tech startups with limited resources and looking for a turnkey solution, including Eventbrite, Box, Github, and Contently . They are now finding their way upmarket into larger, more established enterprises like Cisco, VMWare, Campbell’s Soup Company, and Sunpower. Bright Funds approach to product has brought a number of innovations to this space. The first is the concept of a cause-focused “fund.” Similar to a mutual fund or ETF, these funds are portfolios of nonprofits curated by subject-matter experts tailored to a specific cause area (e.g. conservation, education, poverty, etc.). This solves one of the chief concerns of any donor — is my dollar being put to good use towards the causes I care about? Passionate about conservation? Invest with Jim Leape from the Stanford Woods Institute for the Environment, who brings over three decades of conservation experience in choosing the six nonprofits in Bright Fund’s conservation portfolio. This same expertise is available across a number of cause areas. Additionally, funds can also be created by companies or employees. This has proven to be an important rallying point for emergency relief during natural disasters, where employees at companies can collectively assemble a list of nonprofits to donate to. In 2017, Cisco employees donated $1.8 million (including company matching) through Bright Funds to Hurricanes Harvey, Maria, and Irma as well as the central Mexico earthquakes, the current flooding in India and many more. The second key feature of their product is the impact timeline, a central news feed to understand where your dollars are going across all your cause areas. This transforms giving from a black box transaction to an ongoing dialogue between you and your charities. Lastly, Bright Funds wants to take away all the administrative burden that might come with giving and volunteering — everything from tracking your volunteer opportunities and hours, to one-click tax reporting across all your charitable donations. In short, no more shoeboxes of receipts to process through in April. Although Bright Funds is focused on transforming the individual giving experience, it’s paying customer at the end of the day is the enterprise. And although it is philanthropic in nature, Bright Funds is not exempt from the procurement gauntlet that every enterprise software startup faces — what’s in it for the customer? What impact does workplace giving and volunteering have on culture and the bottom line? To this end, there is evidence to show that corporate social responsibility has a an impact on recruiting the next generation of workers. A study by Horizon Media found that 81% of millennials expect their companies to be good corporate citizens. A separate 2015 study found that 62% of millennials said they’d take a pay cut to work for a company that’s socially responsible. Box, one of Bright Fund’s early customers, has seen this impact on recruiting firsthand (disclosure: Box is one of my former employers). Like most tech companies competing for talent in the Valley, Box used to give out lucrative bonuses for candidate referrals. They recently switched to giving out $500 in Bright Funds gift credit. Instead of seeing employee referrals dip, Box saw referrals “skyrocket,” according to Box.org Executive Director Bryan Breckenridge. This program has now become “one of the most cherished cultural traditions at Box,” he said. Additionally, like any corporate benefit, there should be metrics tied to employee retention. Benevity released a study of 2 million employees across 118 companies on their platform that showed a 57% reduction in turnover for employees engaged in corporate giving or volunteering efforts. VMware, one of Bright Fund’s customers, has seen an astonishing 82% of their 22,000 employees participate in their Citizen Philanthropy program of giving and volunteering, according to VMware Foundation Director Jessa Chin. Their full-time voluntary turnover rate (8%) is well below the software industry average of 13.2%. Bright Funds still has a lot of work to do. CEO Walrod says that one of his top priorities is to expand the platform beyond US charities, finding ways to evaluate and incorporate international nonprofits. They have also not given up their dream of becoming a truly consumer platform, perhaps one day competing in the world of donor-advised funds, which today is largely dominated by big names like Fidelity and Schwab who house over $85B of assets. In the short term, Walrod wants to make every Bright Funds account similar to a 401K account. It goes wherever you work, and is a lasting record of the causes you care about, and the time and resources you’ve invested in them. Whether the impetus is altruism around giving or something more utilitarian like retention, companies are increasingly realizing that their employees represent a charitable force that can be harnessed for the greater good. Bright Funds has more work to do like any startup, but it is empowering the next set of donors who can give with the same effectiveness as Gates, and one day, at the same scale as him as well. Dell, which went private in one of the the largest leveraged buyouts in tech circa 2013, announced today that it will once again be going public through a relatively complex mechanism that will once again bring the company back onto the public markets with founder Michael Dell and Silver Lake Partners largely in control. Dell’s leveraged buyout largely marked the final page in the company’s storied history as a PC provider, going back to the old “dude, you’re getting a Dell” commercials. The company rode that wave to dominance, but as computing shifted to laptops, mobile phones, and complex operations were offloaded into cloud services like Amazon Web Services, Azure and Google Cloud, Dell found itself navigating a complex environment while having to make a significant business transition beyond the PC era. That meant Dell would be beholden to the whims of public markets, perhaps laden with short-term pessimism over the company’s urgent need to find a transition. The transaction is actually an offer to buy shares that track the company’s involvement in VMWare, converting that tracking stock into Dell Technologies stock that would mark its return as a publicly-traded company. Those shares will end up traded on the NYSE, around five years later after its founder took the company private with Silver Lake Partners in a deal worth roughly $25 billion. Silver Lake Partners owns around 24% of the company, while Dell owns 72% and will continue to serve as the chairman and CEO of the company. This move helps the company bypass the IPO process, which would remove the whole time period of potential investors scrutinizing the company (which has taken on a substantial debt load). Dell said in its most recent quarter it recorded revenue of $21.4 billion, up 19% year-over-year, and over the past 12 months the company generated $82.4 billion of revenue with a net loss of $2.3 billion. The company said it has also paid down $13 billion of gross debt since its combination with EMC back in 2016. All this has been part of the company’s transition to find new businesses beyond just selling computers, though there’s clearly still demand for those computers in offices around the world. As it has expanded into a broader provider of IT services, it’s potentially positioned itself as a modern enterprise tools provider, which would allow it to more securely navigate public markets while offering investors a way to correctly calibrate its value.